Thesis 1.7 theme for WordPress is a premium template system designed to serve as the rock-solid foundation beneath any kind of website. 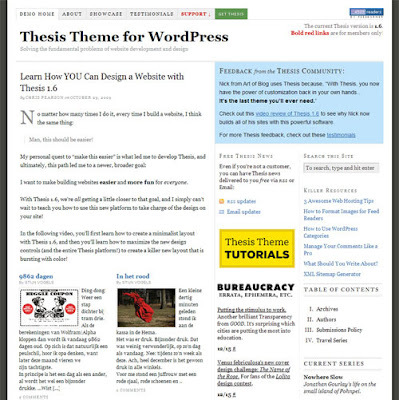 Thesis 1.7 theme brings new functionality that improves your site immediately! The list of changes in Thesis 1.7 is long (but awesome), so if you’re ready to get started, dive right in! 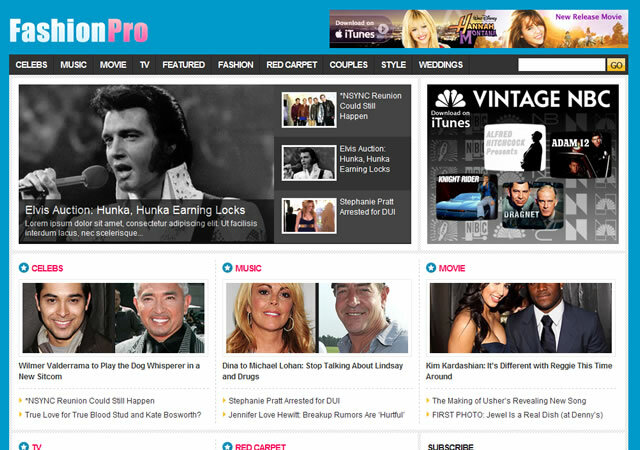 FashionPro is a premium wordpress magazine theme with powerful & easy-to-use options. ePhoto was designed with photography in mind, for those looking to turn their blog into a photo gallery. 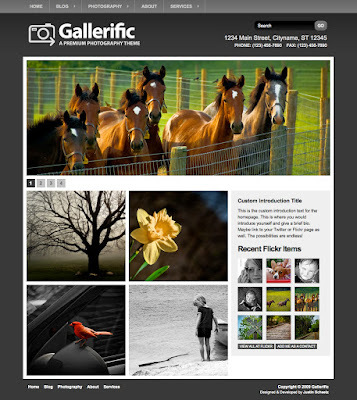 ePhoto theme can be used to display any type of digital imagery. 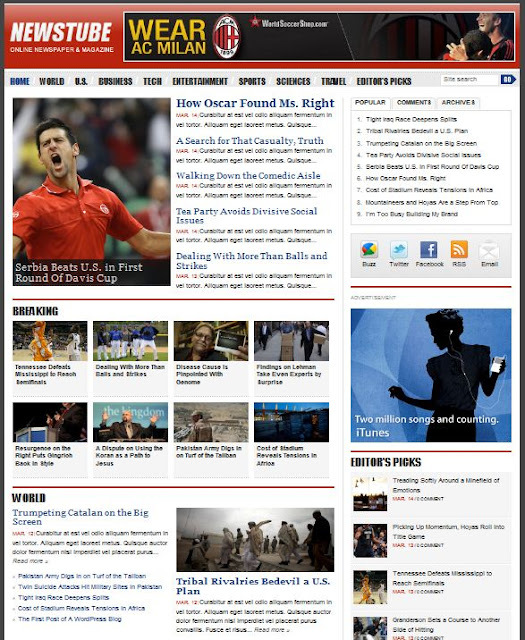 Newstube Theme is an ideal news and magazine wordpress theme. 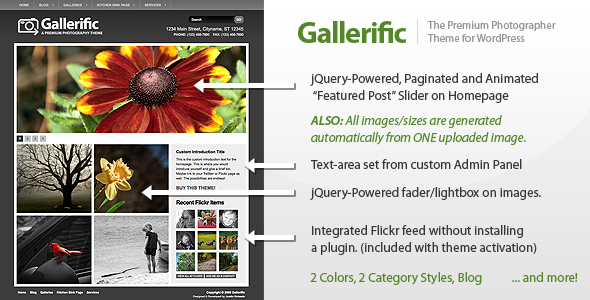 Gallerific is a Pro Photography WordPress theme loaded with tons of great functionality. 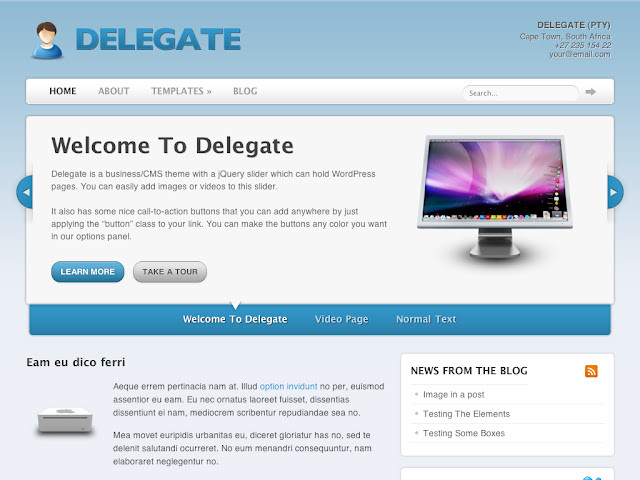 Delegate is a shiny and feature-packed business theme designed by Woothemes that should appeal to the funky companies out there. Packed with all the goodness of a proper Wordpress business theme, Delegate will most definitely make the impact you need from it! 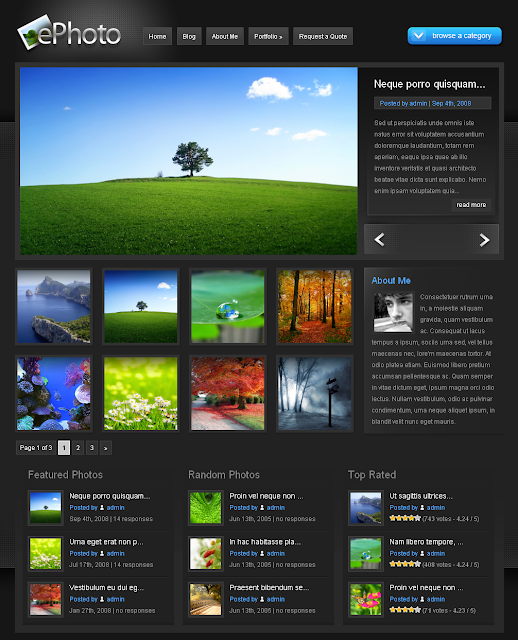 inFocus is a powerful professional premium wordPress theme designed by ThemeForest. 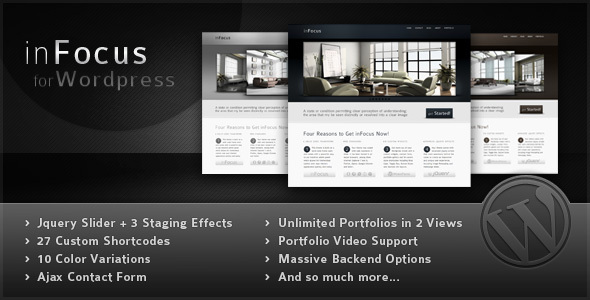 inFocus comes with an impressive fully customizable jQuery homepage slider with 3 different staging effects. Whether you’re a Wordpress pro or just a beginner, this theme has you covered. 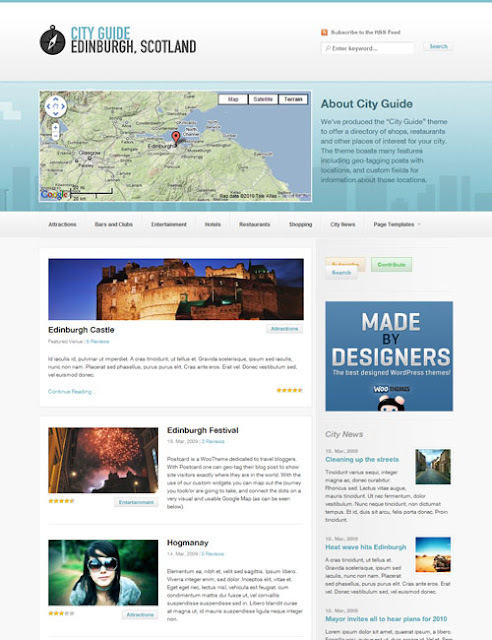 City Guide is a theme developed by Woothemes to cater for travel-based wordpress sites. For example, a guide to a city with shops, restaurants and other places of interest, custom content about the locations, and well presented in this killer theme.